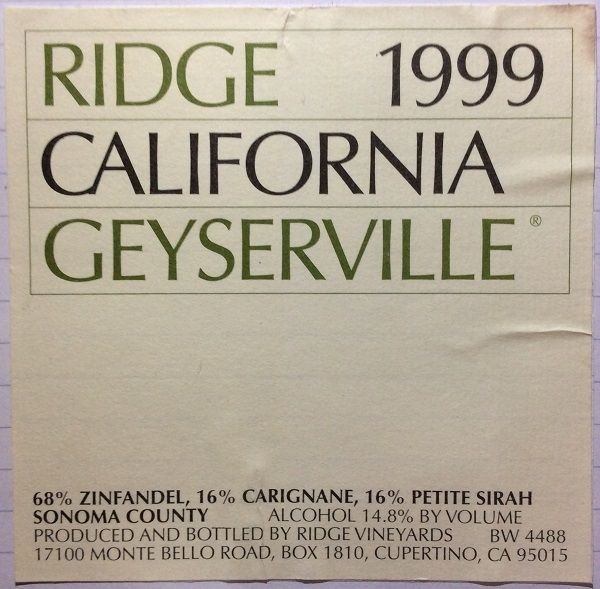 Having had a much younger and more tannic York Creek Ridge Zin the night before, this lovely Geyserville demonstrated Ridge’s skill in blending Zinfandel to last. Deep garnet. Pronounced, but mellow fruit – damson and blackberry – with distinct cocoa and dark chocolate. Touches of meat and spice. Subtle. Quite complex. Holds its 14.8% alcohol well. Silky, background tannins give structure, in an almost ghost-like way – they’ve fully matured. Rich dark fruit with more chocolate and some vanilla, with a full-body that is very well balanced by pretty decent acidity. Well-concentrated, with medium+ length. In Chattanooga.